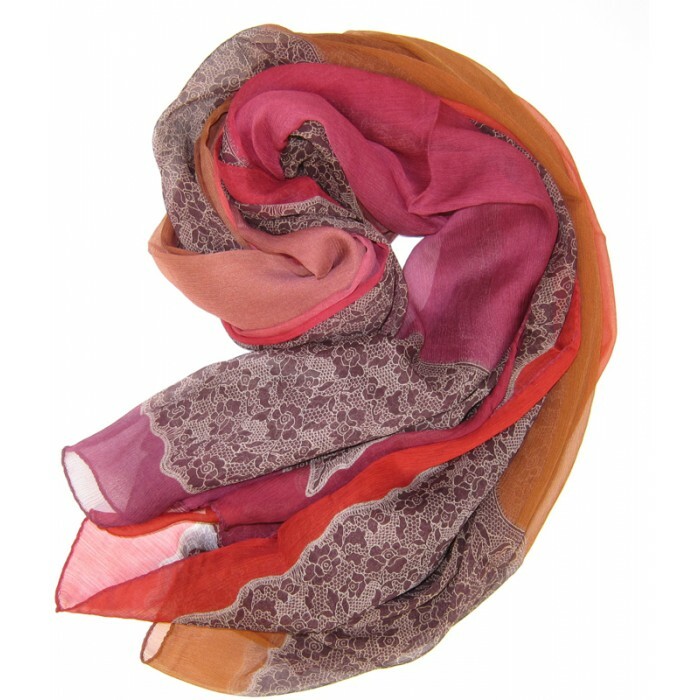 Exquitiste patterning and shading define this unique and sophisticated day to night printed Italian silk crepe chiffon scarf. 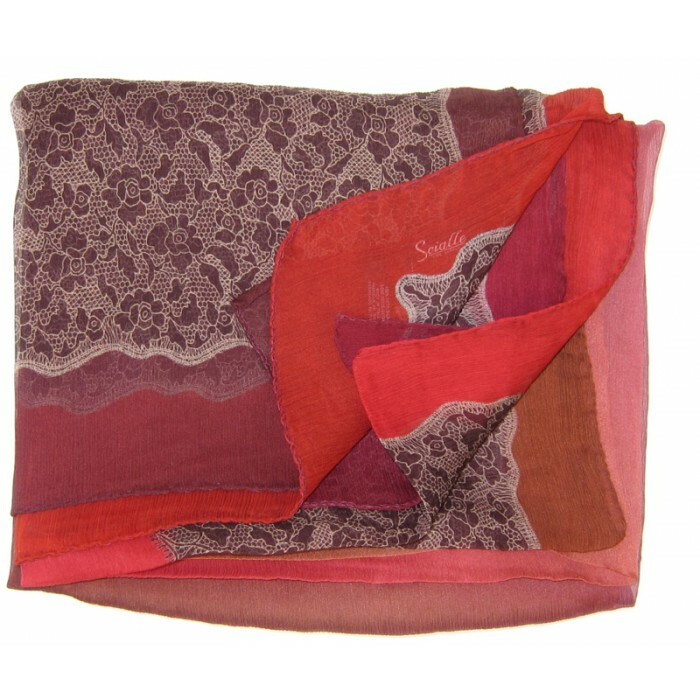 the sea of vibrant colors in reds and oranges with a subtle lace pattern are a treat for the eye! Very lightweight and generously sized 55x79". 4 side rolled hem. Very flattering drape. This is a "statement" piece! 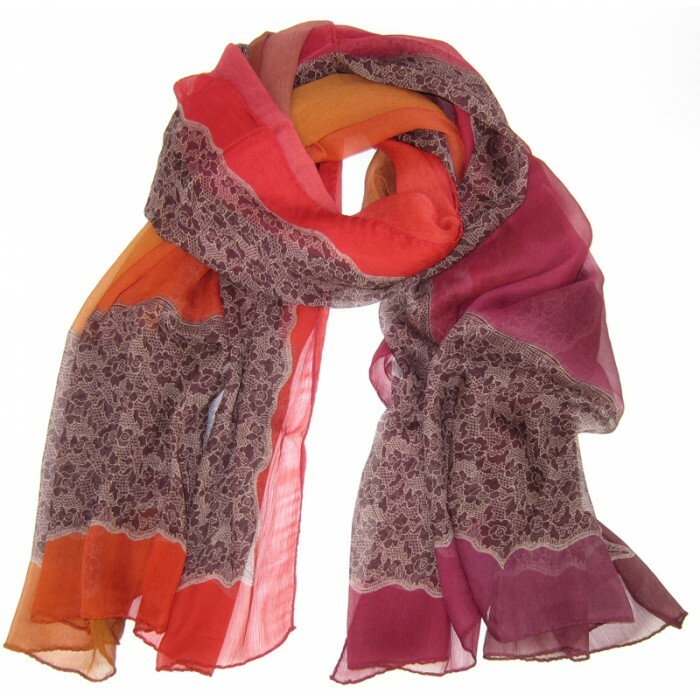 100% silk, Made in Italy.